Home F1 Will We See Lewis Hamilton at the Back of a Ferrari? 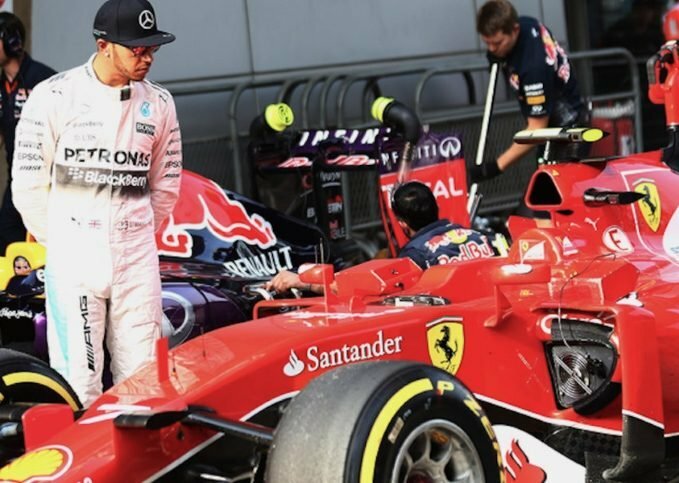 Will We See Lewis Hamilton at the Back of a Ferrari? Lewis Hamilton is beyond doubt one of the greatest F1 drivers of all time. His name is far too many times mentioned in the record books. He has four world titles to his name, 71 wins, 132 podiums, 81 pole positions and 41 fastest laps to his name. His legacy is far too significant in Formula One. The question arises, now what next? Will he stay with Mercedes beyond 2020 or will he make a switch to Ferrari? Certainly the fans will love seeing him in a red racing suit. He made his debut in 2007 with the McLaren team and stayed with them till 2012 before switching to Mercedes. In the six years he’s been with the team so far, he’s won three championships and racked up 50 wins so far. He recently extended his contract as well to stay with the team up until 2020. But will we see Hamilton in a Ferrari post 2020? Driving a red scarlet Ferrari is every Formula One driver’s dream. When inquired about the same, Hamilton didn’t shy away from refusing the move. Hamilton told Italy’s Autosprint: “At the moment it’s difficult to imagine being elsewhere. Hamilton moving to Ferrari will act as a finishing puzzle for the Briton who’s achieved almost everything during his tenure in the sport that there is to achieve. Driving that red scarlet Ferrari and including himself not just in the legacy of Formula One, but in the legacy of Ferrari as well. The rich Ferrari legacy is something every driver is interested to be a part of. And if given the chance, considering the 2021 regulations, Hamilton won’t mind making a switch and trying out something new. Something different. Will he be the man to bring the glory back in Maranello?